Last week we attended the St Louis Days of Dot Net conference in the greater St. Louis, MO area. It was a great opportunity to network with other developers in the area and promote Alien Arc. They put on a great conference and we had a good time at the attendee parties/mixers. But we were not just there as attendees this year. 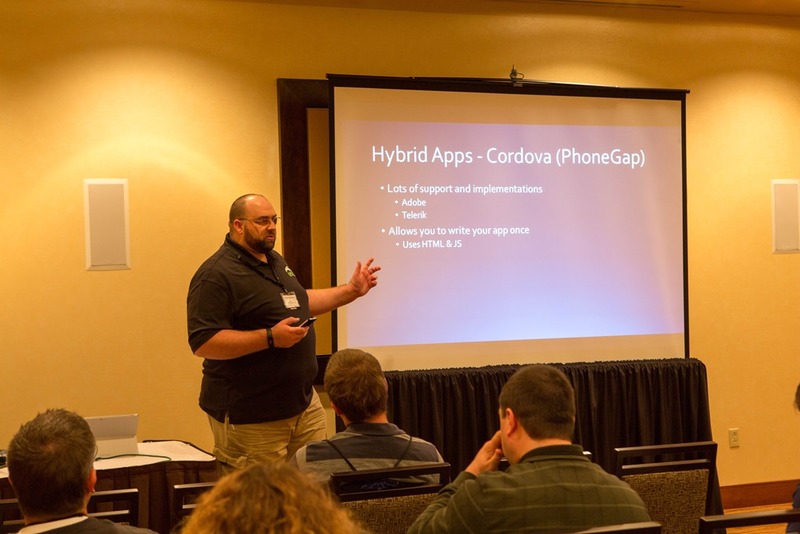 Co-Founder Duane Newman presented a talk on doing Cross-Platform Mobile Development using Xamarin Forms. Since this is a new topic he was asked to present it twice. He outlined the mobile market and the importance of distributing to all three major platforms to maximize your target audience and increase your potential ROI. He followed this up with an explanation of the Xamarin tools and how Xamarin Forms can be used to enable quick entry into the market with a cross platform solution with very high code and UI sharing between the 3 platforms. The talk was a good experience for Duane and we received good feedback from the audience and had questions after both sessions. It was great to be able to share things we’ve learned with the community and hope to do it again soon. One of our founders, Duane Newman, will be presenting at the upcoming St. Louis Days of .NET conference in St. Louis, Missouri. He will be speaking on Xamarin's new mobile UI offering: Xamarin.Forms. We encourage you to come to this great conference in the St. Louis area and stop by for Duane's session.